It costs nothing to pay with PayPal, you'll only be charged a fee when you sell something or request a payment. Changed your mind on your purchase? Ship it back and get a refund of up to US$20 on return shipping*. 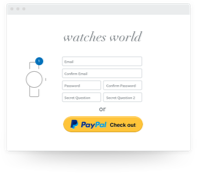 Shopping with PayPal is safer with Buyer Protection, 24/7 anti-fraud monitoring and world class security*. 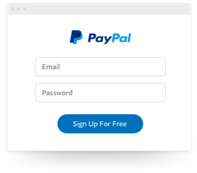 Skip the PayPal login on future purchases when activate PayPal One Touch. Shop the things you love, faster than ever with all eligible merchants. It’s now a lot easier to pay someone. All you need is an email address to send cross-border commercial payments in over 25 currencies to almost anyone, anywhere. PayPal offers solutions for you to get paid easily and more securely however you do business - on your online store or directly via email.